Who could resist an offering from the only rum distiller in the UK who happens to be based not too far away in Cambridgeshire? 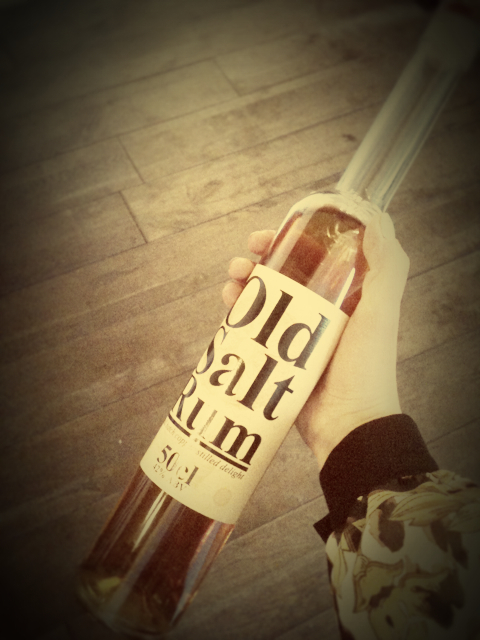 It seems almost fated that we were going to fall in love with this salt rum…. As Autumn casts it’s sleepy smile over the nights… you really do nee d something with a bit of bite to help you coax people out of their warm homes and in to the pub. Admittedly, I did have a bit of a concern I may be in a complete minority with this and would be the only person drinking it….but it turns out we can’t sell enough! Just a little sniff from the bottle and the whiff of hot treacle and syrup pudding hits your senses. It seems a tipple popular with both men and women which is always a good sign; pretty much always served straight over ice. But another thing that makes it a special drink is the knowledge of how much love has been poured in to it’s creation. 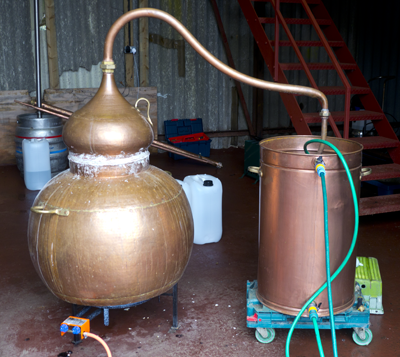 The ‘English Spirit Distillery’ prides itself on it’s small team who do everything from the fermentation, distillation, maceration, ageing through to the bottling themselves. Even the copper still has been beaten by hand. They call her ‘Fanny’ (ermmmmm fair enough)! So all in all a very special little sip indeed!